Dresses range from $30 for a week’s rental for brands like Topshop and Diane von Furstenberg, to $160 for high-end labels like Alexander McQueen. Lenders can choose between the “DIY” and “concierge” options. With the first, lenders meet with the borrowers in person and take care of the cleaning, receiving 70 percent of the rental price in return. 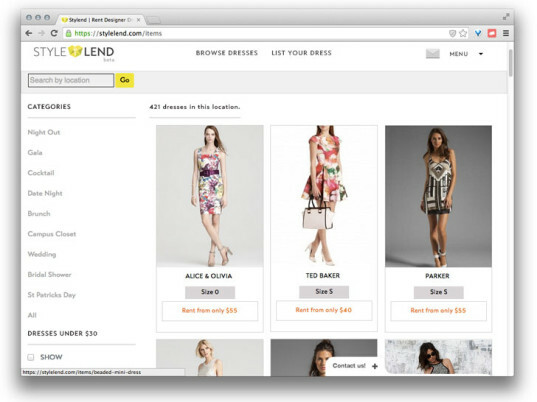 With the “concierge” option, StyleLend handles the entire process, from picking up the dresses and listing them to delivery and dry-cleaning. For the convenience, lenders keep a smaller cut: 50 percent of the rental price. The website, which is currently in beta, launches next month with initial rollout to San Francisco, with New York City to follow. Great article. However, if you'd like to broaden your audience, change your font style. Ridiculously small of websites nowadays. 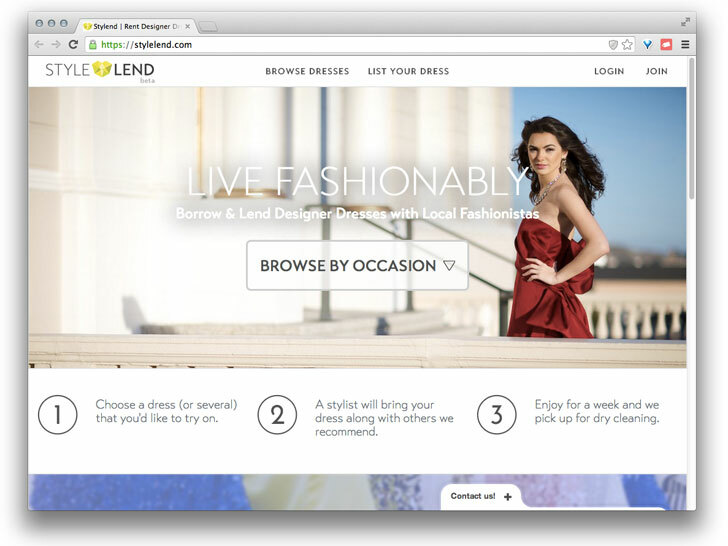 Just call StyleLend the "Airbnb of dresses." Founded by model-turned-entrepreneur Lona Alia Duncan, the peer-to-peer marketplace enables women to access the "infinite dream closet" while monetizing the contents of their existing one. Duncan, who was born in Albania but now calls San Francisco home, arrived at the concept of StyleLend while traveling in Paris, where she wished she could trade her massive suitcase of clothing for the ease of borrowing from a chic Parisian. As someone with a brimming social calendar, Duncan often found herself in front of a wardrobe full of clothes but nothing to wear, a problem exacerbated by her reluctance to be photographed in the same garment twice. "Having something different every time to wear makes me feel confident, beautiful, and powerful," she writes on her website. "But wearing something new every time can get really expensive since I love designer brands and they can be $300-plus per dress."